At first glance it looks like Salamence is a made to be a mixed attacker. That's a great role for it, but its 95/80/80 defenses and Intimidate give it considerable physical bulk. 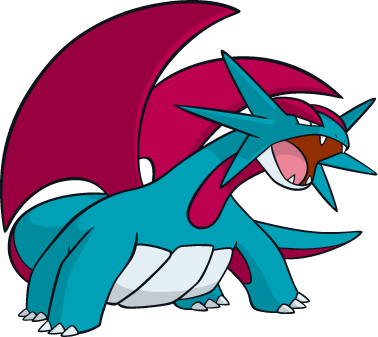 Intimidate is a fitting ability for Salamence, since it ruled over 4th gen competitive play with an iron fist. With Garchomp and the Lati@s twins safely banned to Ubers, Salamence could reign unopposed. 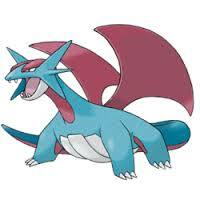 No Dragon was Stronger, no Dragon was Faster, no Dragon had the coverage that Salamence had. Salamence was, and still is, one of the best Dragon Dance users in the game. Very few Pokemon can stand up to Salamence easily, let alone switch in on it safely. Add in the fact that it ha a fantastic mixed movepool and the list of counters and checks only gets shorter. Even without Intimidate Salamence is still a fantastic sweeper with its hidden ability Moxie. Combining Moxie with a Choice Scarf makes Salamence a fearsome late game cleaner that can ensure victory in many different situations. Unfortunately, Salamence is far from invincible. With the introduction of Fairy types and moves like Ice Shard becoming more prominent, Salamence has had a harder time fitting on teams than ever before. 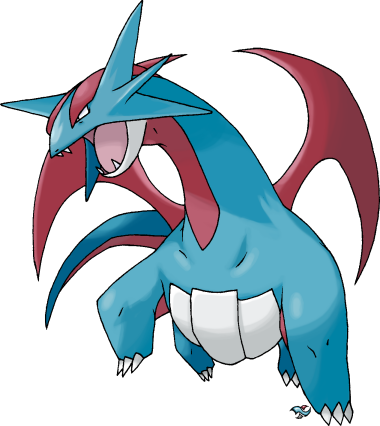 Pokemon like Mamoswine and Togekiss can stop Salamence in its tracks and ruin any momentum previously gained. Not only that, but opposing Dragon types like Garchomp and the Lati@s twins can get the jump on Salamence and compete with it for a slot on teams. Even Dragonite can contend with Salamence now thanks to Multiscale increasing its already good bulk. Salamence' Speed is also less than stellar in the current metagame. 100 base Speed just isn't what it used to be with so many fast Pokemon running around like Latios and Noivern. Even with all of these apparent shortcomings and restrictions Salamence is a fantastic Pokemon and still a force to be reckoned with. We will not be discussing Mega Salamence here because as of right now it is only allowed in VGC, which I do not cover. This is Salamence' bread and butter set, and for good reason. After just one Dragon Dance Salamence can tear through unprepared teams, punch big holes in most teams in the early game, and clean up weakened teams after you've eliminated opposing Steel and Fairy types that might stop your sweep. Getting that one safe Dragon Dance off is tricky in the current metagame, since the list of Pokemon that Salamence can scare out by switching in is ever dwindling. In these cases it's important to have support Pokemon that can cripple Pokemon that would already have a tough time facing Salamence. Salamence has no trouble dealing with Fighting types, as well as any Fire or Grass Pokemon it comes across. Those are all fairly common types in the metagame, not to mention you can take advantage of your ground immunity to get a free switch-in. Unless you do switch in on a Pokemon that you don't mind taking damage from you need to make sure the opponent has no choice but to switch out against Salamence ensuring that you get a free turn to set up Dragon Dance. Once you do that, you're more or less set. So, when are you not safe to set up? Well, anytime you see a Fairy type it's safe to say that Salamence should turn tail and run. You can run Iron Head for these situations, but without a Dragon Dance under your belt you might not get the KO on bulkier Fairy types like Clefable or physically defensive Togekiss. Having an offesnive Fairy counter is very useful in these situations. 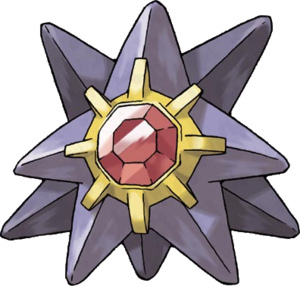 Furthermore, Pokemon like Starmie can easily counter you with Ice beam unless you've set up a Dragon Dance. Weavile and Mamoswine are also the bane of your existence since they can one-hit KO you with Ice Shard whether you've set up or not. In all of these cases, a Steel type Pokemon is a great partner for Salamence. This set is more defensive version of an old physically bulky set from previous generations. Rather than adding physical bulk in order to set up more easily against physical attackers, this set goes a completely support route. Roost provides stable recovery while Dragon can keep racking up residual damage with entry hazards. Substitute helps stall against other support Pokemon who try to get status moves off on Salamence. Now, this being a support set, it naturally needs something to support. Having a Pokemon that can spread Toxic or Will-O-Wisp on your team is important, and having a reliable Stealth Rock setter is crucial. This means that you won't be using this Salamence variant until late in the game, when you have ample room to slap your opponent's team around with your Dragon Tail from behind a substitute. As with any support Pokemon, you'll want to watch out for fast Taunt users like Weavile, Thundurus and the rare Aerodactyl. They can ruin your day before it even begins. Your best bet is to Dragon Tail them away as soon as you see them, but Weavile's Ice type attacks are not something you want to deal with regardless of how bulky you are. That's why you want to relegate this Salamence to a supporting role more than anything. Fairy types are even harder to deal with thanks your lack of attacking options but if you really want to you can run Iron tail or Steel Wing in your 4th move slot. Overall, you'll want a team that Salamence can support by covering their weaknesses and vice versa. Metagross can switch into just about anything that Salamence can't deal with. 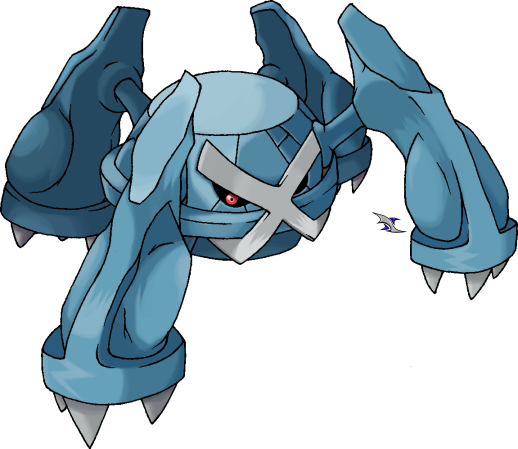 Metagross resists Fairy, Ice and Rock type moves and can hit all of those types super effectively. Offensively it's the perfect partner to Salamence. They both have considerable bulk and work great on balanced teams and bulky offense teams. Unfortunately their lack of U-turn or Volt Switch means that you'll have to manually switch these two in and out, which can lead to your opponent getting smart and out-predicting you, so be wary of relying too much on Metgross' assistance. Starmie As much as Salamence hates facing Starmie, it makes a great ally when dealing with fast threats. Starmie's 115 Speed stat is still enough to outpace a lot of Pokemon that threaten Salamence. It doesn't necessarily cover Salamence's weak points but it does help add coverage early on when you're wearing down your opponent's team or eliminating threats. When using Starmie as a partner you have to consider that you're building a more offense-based team and you'll need to be aggressive. This means that you'll have fewer safe switch ins, but if you can predict your opponents moves you can net a speedy victory. 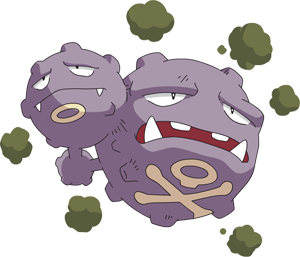 Weezing is a Pokemon that takes skill to use effectively, but is incredibly useful with the right team setup. Weezing's fantastic physical bulk is complimented by Salamence's Intimidate, and Salamence always appreciates having Will-O-Wisp. Having two physically bulky Pokemon on the same team may seem like overkill but it actually works very well. Weezing can not only spread burn but it can also use Pain Split to cripple especially high HP Pokemon so Salamence can clean them up without having to use Dragon Dance. If you put in the time to learn how to use Weezing you'll be handsomely rewarded. At the end of the day, Salamence is not the top tier threat that it used to be in the metagame. 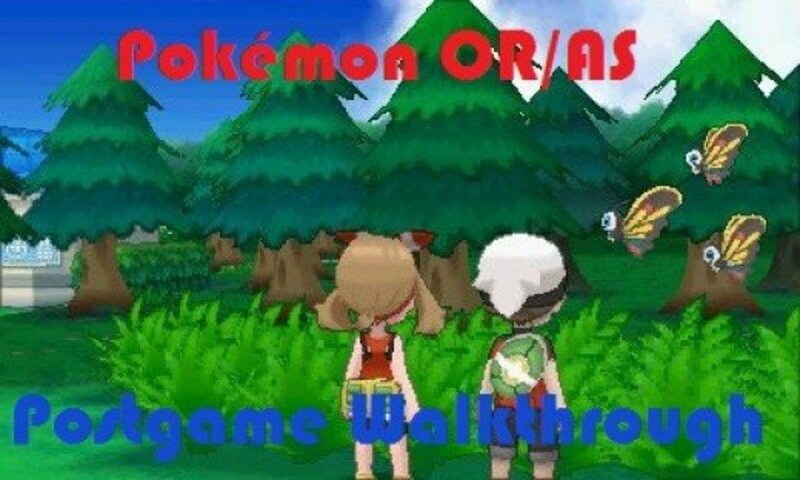 Fairy type Pokemon, the reintroduction of its Dragon type bretheren all hurt it a little, and that adds up. However, there's still a place for a Pokemon like Salamence on balanced offense teams. It takes patience to learn how to become effective with Salamence, but the mark of any good player is patience. You can make Salamence the monster that it once was, but it'll take time. If you persevere, you'll be rewarded with one of the best Dragon-type Pokemon in the game. Salamence does not learn Iron Head, through.